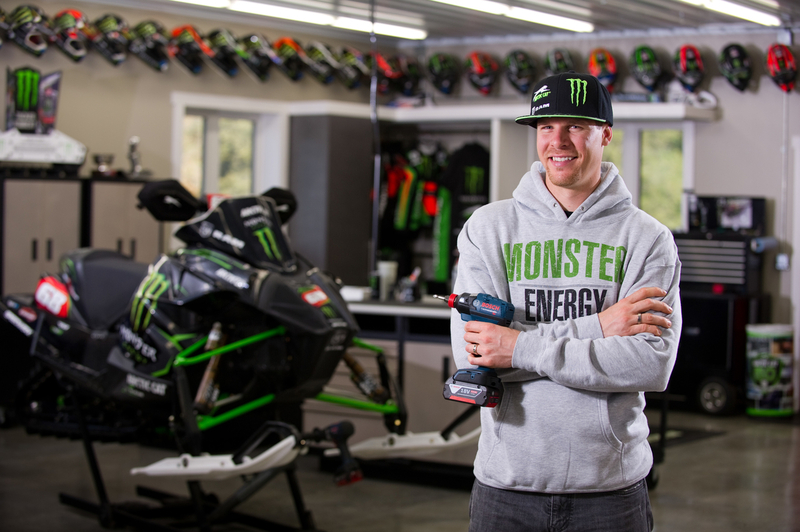 Today, Robert Bosch Tool Corporation announced an agreement to partner with snocross racing star Tucker Hibbert for the 2015-2016 season. Hibbert is a 13-time X Games medalist, nine-time U.S national champion and two-time world champion in the sport. Bosch becomes the official power tools sponsor of Hibbert’s Monster Energy / Arctic Cat / Ram Truck team. Under the agreement, Hibbert and his team will use Bosch power tools exclusively for all maintenance, upgrades and repair of race equipment and facilities. The Bosch logo will appear on Hibbert’s competition snowmobiles, branded apparel and transport vehicle. Snocross is the most popular form of snowmobile racing. Racers routinely hit speeds of up to 60 mph with jump distances exceeding 75 feet. Throughout the winter, snocross races are held at fan-friendly venues across the U.S. and broadcast worldwide. In 2011, 2014 and 2015, Hibbert earned ESPY Award nominations in the Best Male Action Sports Athlete category. Last winter, he captured his 100th Pro National victory, ninth National Snocross Championship and 13th X Games medal. Hibbert is the second youngest X Games gold medalist, taking his first award at age 15, and has earned the most medals awarded by X Games in a single winter sport. The Hibbert team was using Bosch power tools prior to the agreement. They cited the brand’s overall quality, but in particular how the company’s cordless tools withstand cold temperatures, yet deliver maximum performance. Bosch lithium-ion batteries are performance rated to -4̊ F.
To learn more about Bosch products or to find a local dealer, visit www.boschtools.com or call 877-BOSCH-99. Check out www.bethepro.com for additional tips and videos.